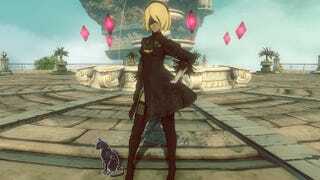 As tweeted out by PlayStation, Gravity Rush 2 will get the outfit of Nier: Automata protagonist’s 2B, for free. It’ll come out on May 5th. Thanks to allgamesdelta for pointing it out and also for posting an awesome video from the free DLC! Also the official website of Gravity Rush 2 is awesome.